Even a simple life can be complicated. Unsure if she's ready to set down roots with the church district's local beekeeper Seth Eichner, Leah Kauffman instead finds herself going out on a limb and befriending the local Englisch botany professor and recent widower, James Holden, and his 5-year-old daughter, Abby. Leah understands the difficult heartache that the young child -- who hasn't spoken a word in over a year -- is experiencing. Leah lost her own mother at a very tender age, and even now she feels the loss of her mother as strongly as she did all those years ago. Is that why Leah is so drawn to the little girl ... or could it the growing bond between Leah and James that has her spending more time with the outsiders and dreaming about a forbidden life she knows she must resist? Addie Weaver has lived in the Amish tourist town of Pinecraft for the last year since leaving her difficult life in Lancaster County behind. She's making a new place for herself in the Florida sunshine, complete with a tiny home and a job at the local diner. 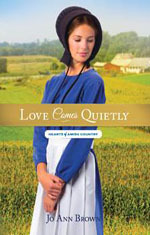 When a handsome Amish man sits down at her booth, she can see he's troubled. Her heart tells her she must try to help. David Brennenman is at the end of his rope, looking for his younger siblings. He's tracked them to Pinecraft, but now lost their trail. 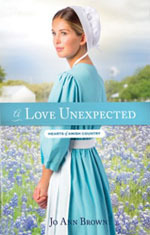 David walks Addie home where they discover a basket containing a pink and precious baby girl. Who is the child? Can someone else's child help two broken people heal and become stronger...together?